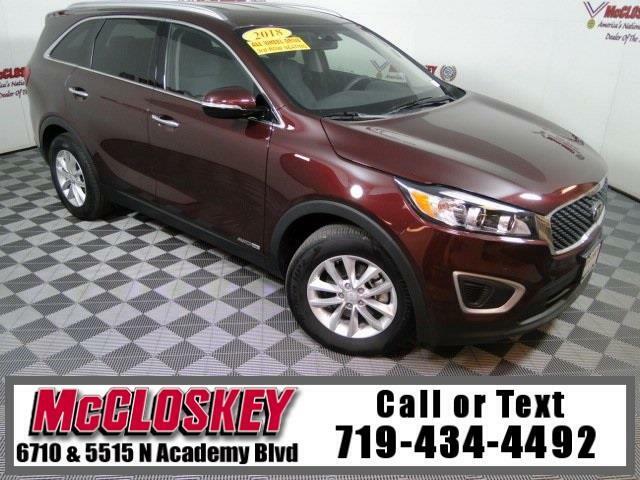 Immaculate 2018 Kia Sorento LX All Wheel Drive with Keyless Entry, Backup Camera, Third Row Seating, Roof Rack, Bluetooth Wireless, and USB Connection! The L and LX come standard with a 2.4-liter four-cylinder engine (185 horsepower, 178 pound-feet of torque). The LX adds a noise-reducing windshield, roof rails and two extra USB ports. With all-wheel drive, it comes with seven seats and a windshield de-icer. The second row folds via nifty trunk-mounted remote handles. Message: Thought you might be interested in this 2018 Kia Sorento.